How much does Zoom cost to trial? There is no charge for the two months of your trial. You can use the software as much as you like for free for two months. What countries does Zoom work in? 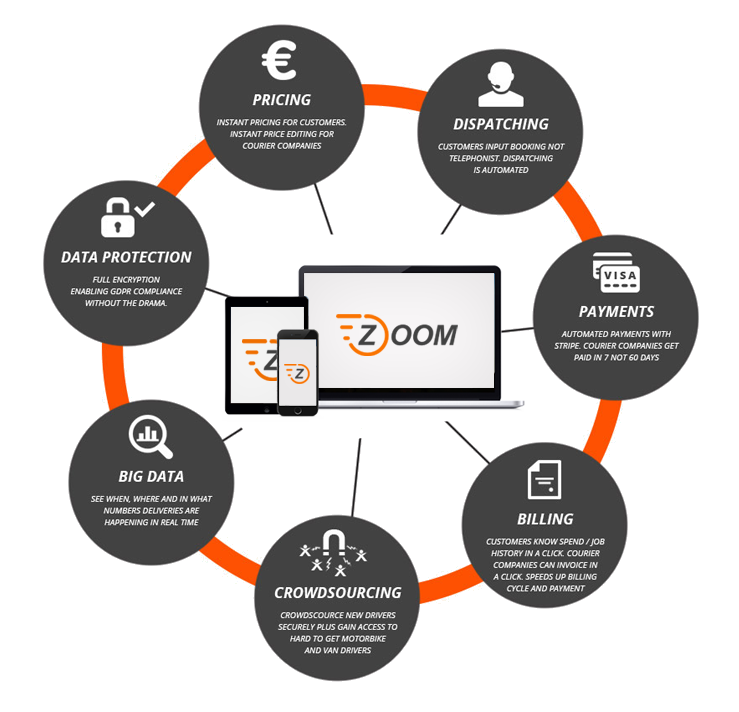 Zoom is cloud-based software, so it is global and can be used easily from anywhere. Currently, the interface is only in English, but we will be adding other languages – please ask us about yours. Your software might create more problems than it solves! 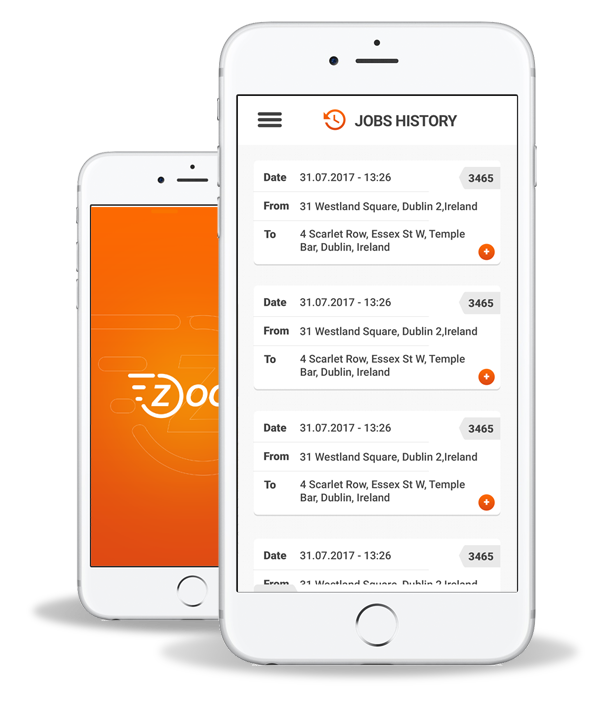 Our software is designed to do three important things – simplify your business processes, automate your operations and ensures all end users – courier company staff, customers and couriers have a great user experience every time. Yes, we are fully GDPR-compliant, communication is encrypted with SSL certificate, database is secured, encrypted, and located in the EU and we use certified partners for payments – Stripe and PayPal. Our software enables you to comply with GDPR regulations without the drama. Our software is secure, reliable, backed by a company with experience since 2001. As for courier companies, it is always good to think about future-proofing your operations. Our software develops and revolves around your needs. We listen and adapt. We get that change is scary but your customers want deliveries now, not later, so your software has to meet that need. By meeting their needs with our software you will increase your revenue, lower your costs and can justify increasing your margin.